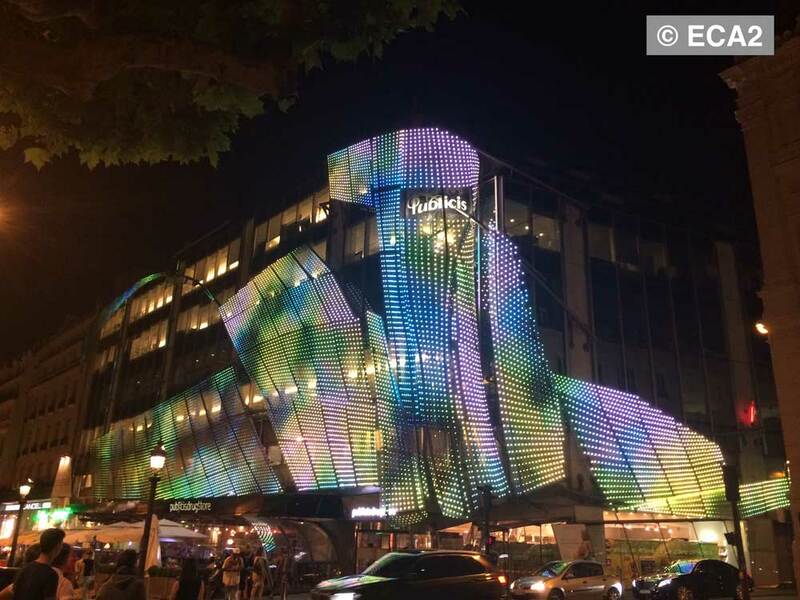 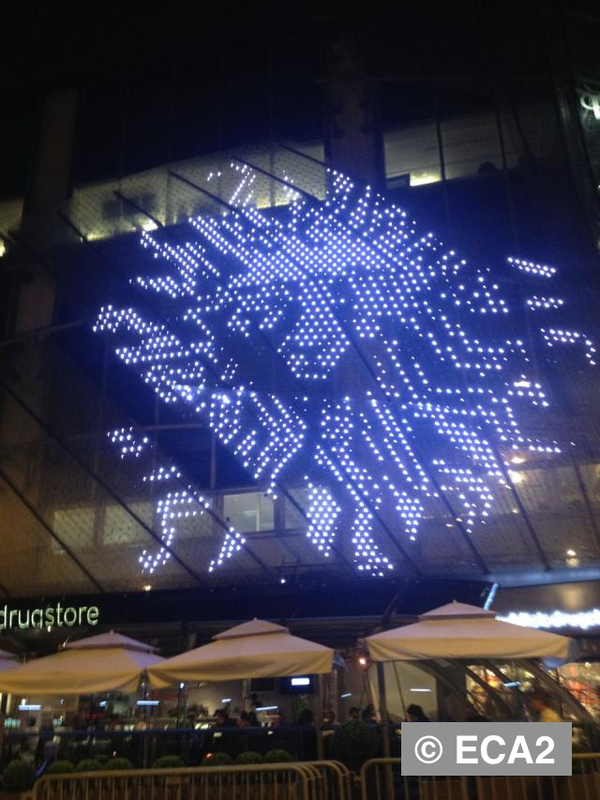 For 20 months, BE 2 PROD worked for ECA2 to install a 600 m2 permanent media facade at PUBLICIS GROUP headquarters on Champs Elysées. 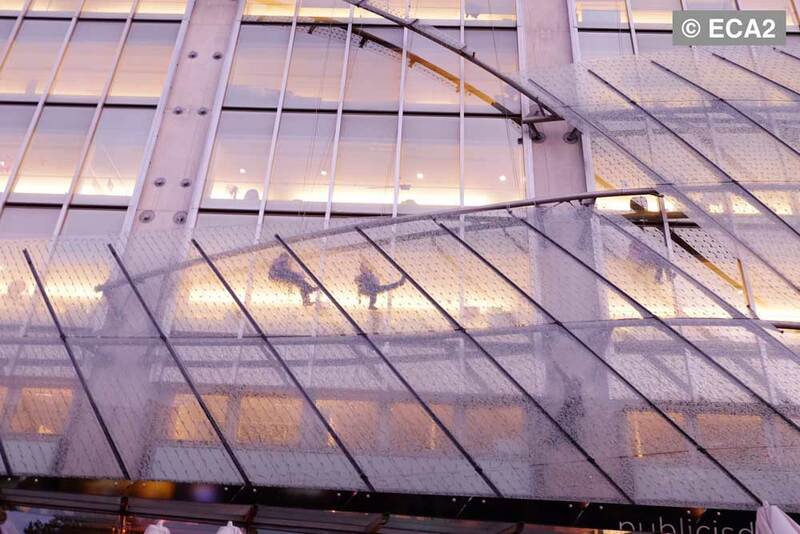 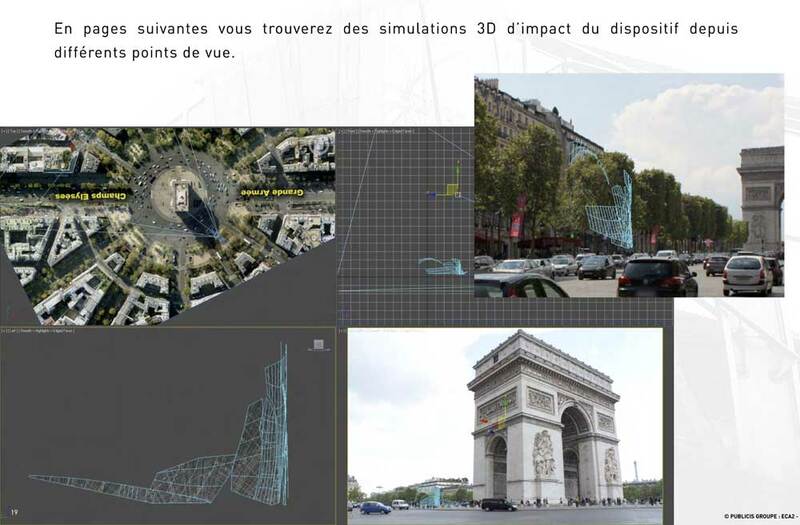 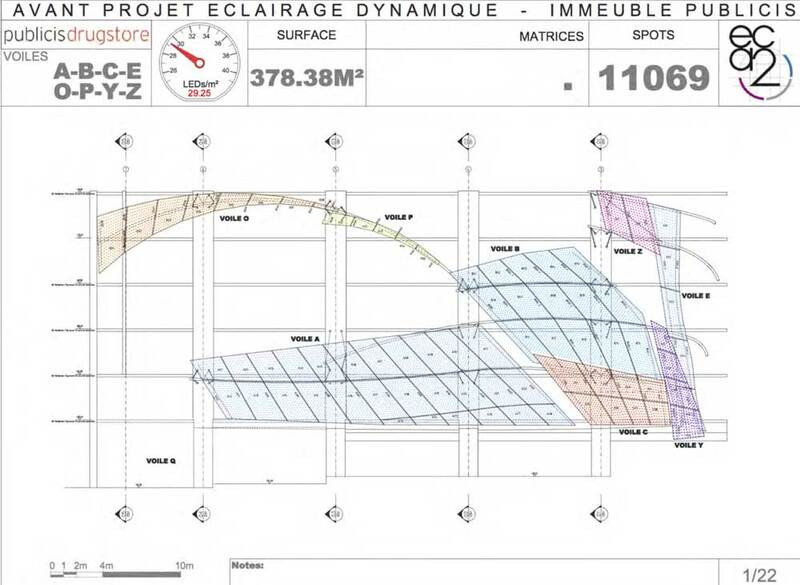 This project required long and complex integration studies to convince authorities that it was possible to do such an installation without impacting the view to the Arc de Triomphe, one of PARIS most famous icon. 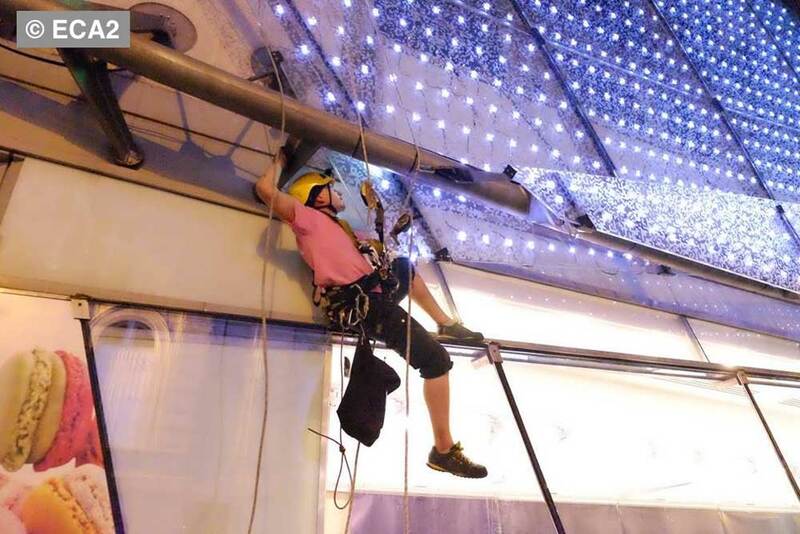 Additional challenges were to get a 10 years life span, and to install 17.500 video pixels in 3 months without impacting sensitive business as drugstore, restaurants, cinemas and some of the world most famous advertising agencies.